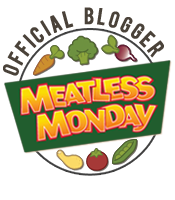 Menu Planning Monday has Moved to Friday | (m)EAT LESS, RUN MORE! I haven’t made the Spicy Vegan Sloppy Joe filling in quite a while, but it’ll be going in the crockpot first thing on Saturday morning! Only recently did I start making the Thai Tahini Sesame noodles, and they have already become a regular occurrence. I use tahini instead of peanut butter and use extra garlic and hot sauce. I also bulk them up by adding lots of sauteed veggies – usually Brussels sprouts and button mushrooms. Yum!! I make the Quinoa Taco Meat several times per month. I eat it over salad, brown rice, in tacos/burritos, and use it in other recipes. It’s a great alternative to the many-ingredient ground beef substitutes (i.e., Boca crumbles), although I do still use those sometimes as well. I haven’t made the 30-minute 1-pot Mexican Chili yet, but Brandi’s recipes never disappoint! I highly recommend the Rice and Black Bean bowl with Chili Mustard sauce, and the Roasted Sweet Potatoes with Mexican Tahini sauce! Thai tahini sesame noodles…..yum!! I should try that out. I often make noodles with peanut butter, hot sauce (ghost pepper), soy sauce and lots of veggies. That’s why I only make as a single serving. I was ready to freak out for a minute there. I was so ready for the weekend and then i thought I missed it! I’m not a super fan of quinoa, but I’m also not a super fan of the fake meats, either. I’ll bet it’s good disguised in taco seasoning, though! But of course I’d want cheese (and not a super fan of fake cheeses, either). I love quinoa!! If you don’t rinse well (or buy the pre-rinsed), it can be very bitter. Maybe that was the problem? Nah, I’m just not overly fond of the texture on its own. I like it in some things, and I do use it, just not my fav.